For a unique storage solution with a rustic farmhouse flair, this set of Berry Patch Market trays in three assorted sizes fits the bill. 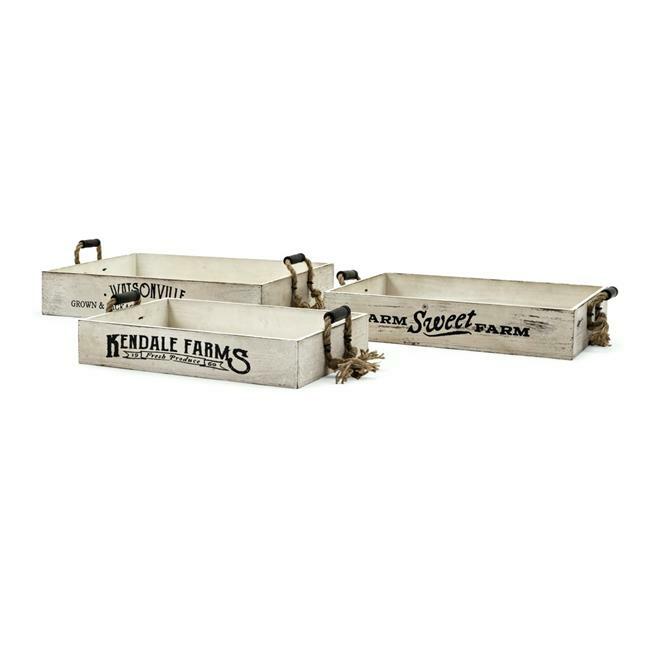 Constructed in solid wood, each box features different vintage farm labels. Each tray is completed by wood and rope handles on the sides for ease of carrying as well as a decorative accent.